Posted January 19th, 2013 . My dog chewed up my dentures. She was neither sorry, nor ashamed. What a sweet face. I don’t think that daddy is really mad. Those eyes! Daddy couldn’t possibly be mad. Oh yeah?? You’d get mad if he did it two or three times like my dog did!! Lots and Lots of money there!! I’ve heard that it is the wax they like!! 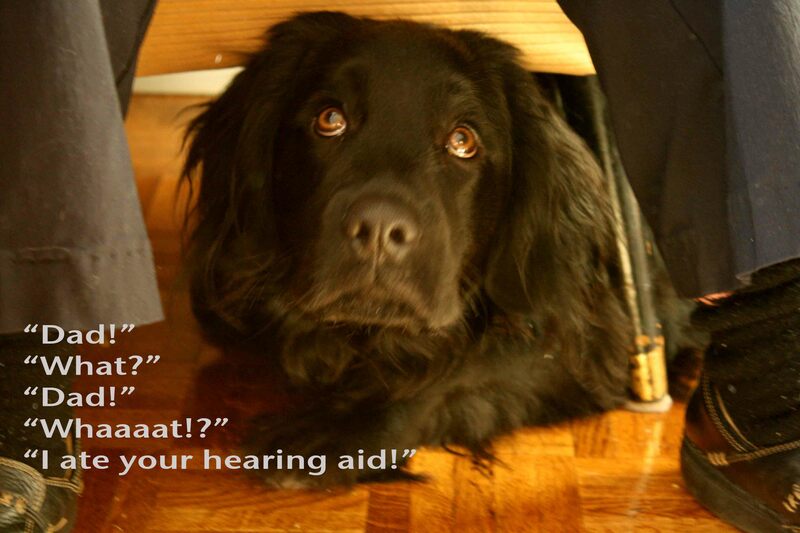 He wouldn’t make a very good hearing dog, although maybe he is trying to tell you how much he loves and accepts you as a deaf person.